Classic in its simplicity, this lovely bouquet of 18 red roses and fragrant white callas in a sparkling glass vase is a dazzling gift of love. 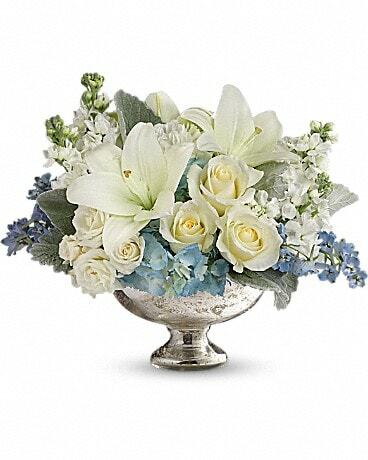 Birthday, anniversary or just because, this bouquet is a winner that will win her all over again. 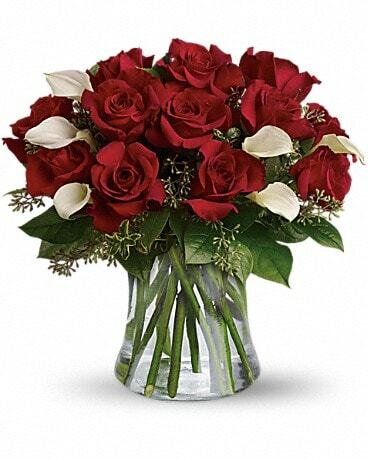 Wait till she opens the door and sees this wildly romantic bouquet of 20 red roses and eight fragrant white calla lilies in a dazzling clear glass vase. She'll be thrilled. And you'll be thrilled at the thank you. Hurry home.